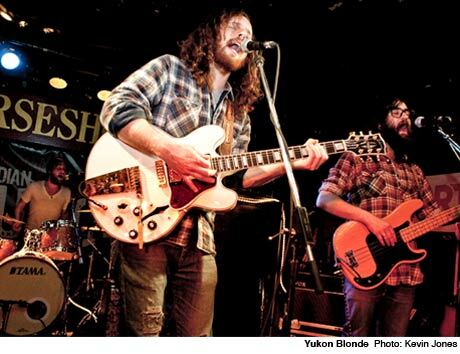 Like the late, great Pride Tiger, Vancouver's Yukon Blonde celebrate rock'n'roll's past with little regard for hipster trends. Taking the best from Neil Young and Southern rock bands like Lynyrd Skynyrd and the Allman Brothers, the quartet would find kindred spirits in Drive By Truckers. Live, they're a no nonsense rock band, never taking themselves too seriously, but never afraid to jam out on each song. Elevating this type of music out of the local bar band realm is rare and these guys make it look effortless. Bonus points to the guitarist for proudly sporting a Wallflowers T-shirt.